Carbon Belt Drive has been developed over the last 30 years. It’s a power transmission technology used to run the blowers on 10,000 horsepower racing engines, the powertrains of 150 horsepower motorbikes, and more recently, the drivetrains of many bicycles. The belts themselves are a series of nylon teeth that are reinforced using multiple carbon fibre cords. 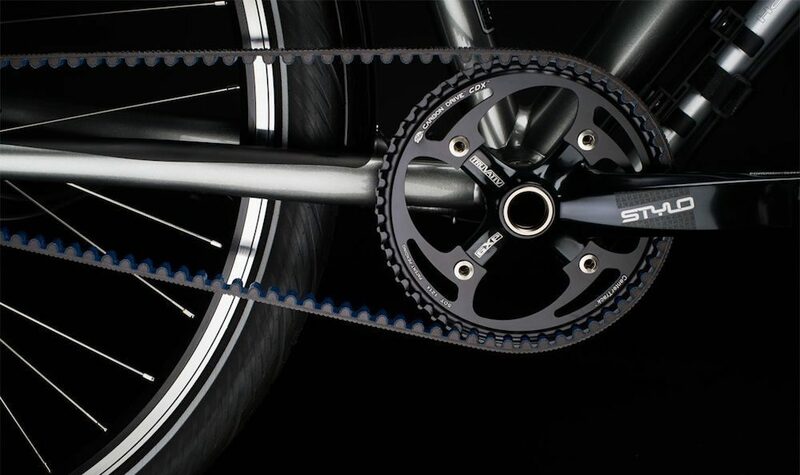 Belts are then paired with stainless steel cogs and durable alloy chainrings, which results in a super tough chain alternative that will handle temperatures ranging from -65°F (-53°C) to +185°F (+85°C). Belt drive is a great alternative to a chain because it’s very low maintenance and it offers 3-4x the service life of a chain. The reason it’s not more widespread in the bike industry is that it cannot be used with derailleurs; instead, it’s limited to internally geared hubs such as Rohloff or Shimano, or crank-based gearboxes like the Pinion P1.18. I’ve been using belt drivetrains paired with Rohloff 14-speed gear hubs since 2010. 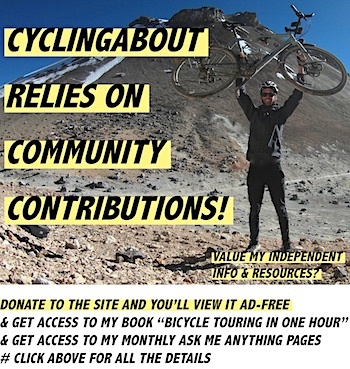 This has included a 31,000km (19,000mi) bike ride between Europe and Australia, my current 40,000km adventure from Argentina to Alaska and lots of multi-month tours in between. 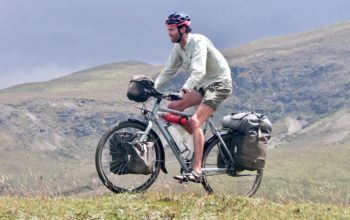 I started playing with belts on a modified Surly touring bike, later building up a custom Co-Motion tandem and am now riding a Koga WorldTraveller-S touring bike. Note: This article was originally published May 2012 but has been completely overhauled Feb 2019. You can expect a regularly cleaned belt drivetrain to last upwards of 30,000km/19,000mi. Additionally, belts will not rust if you leave them in the rain for long period of time. You don’t need to lubricate or degrease your belt. The most maintenance you’ll have to do is get a toothbrush and give the belt a scrub from time to time. You know when your chain is freshly cleaned and lubed and running perfectly silent? That’s a belt drive all the time. You can expect a weight saving of around 100 grams when compared to chain drive. Belt drive on a custom Surly Troll. Take a close look at this build HERE. As belts are one-piece, your frame will need to be designed with ‘belt splitter’ in the rear triangle. The frame will also ideally be ‘stiffness test approved’ – but more on frame stiffness below. 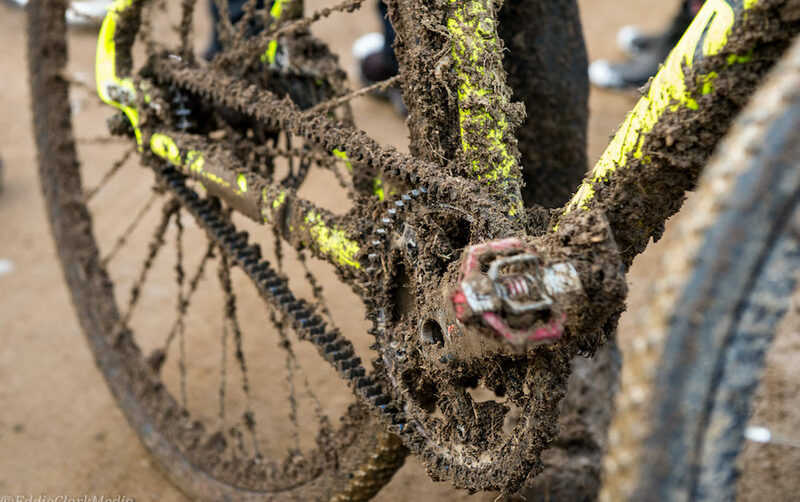 As belts require a high tension, they’ve been tested to be less efficient (likely somewhere in the 1-5 watt range) than a perfectly lubed chain drivetrain, but may have the advantage when the conditions get nasty. … that said, with the high service life, you won’t need to obtain replacement parts often. It’s prudent to carry a spare belt (87 grams) to get you out of trouble on a bike trip (they fold up nice and small). I’ve never carried a spare chainring or cog as they’re very unlikely to be damaged even on a multiyear bike tour. … but provided you get the full mileage out of your belt drivetrain, I’ve estimated you’ll go about 125km per dollar. This is the equivalent of a chain drivetrain costing you about $60 per 7500km (typical max distance for a chain). The CDX High-Performance belt drivetrain is the most common belt option. You’ll find this model on almost all touring and adventure bikes. This system now has 16 belt lengths, 7 front sprocket sizes and 8 rear cog sizes to give you the most drive ratio options. Gates more recently released an oversized version of the CDX drivetrain with 25% more surface area. This product is designed to get an even better range and durability, but still isn’t commonly found on touring bikes. There are currently five front sprockets and 4 rear cogs available. 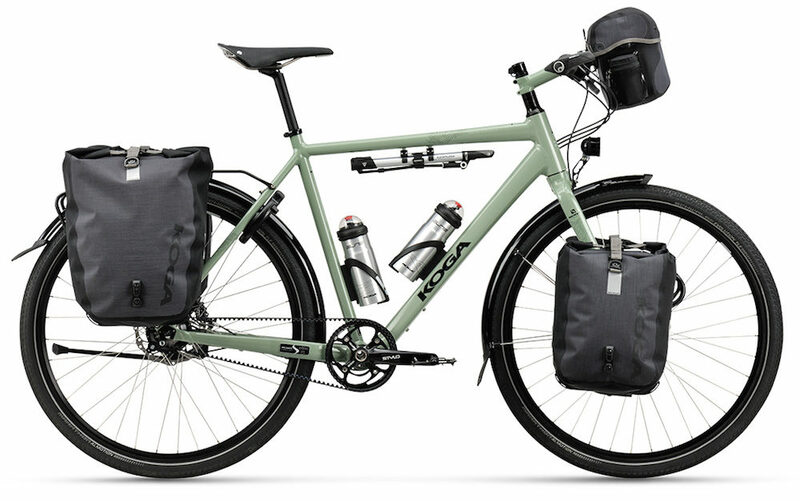 The budget belt drivetrain from Gates is CDN Urban. The idea is to bring belt drive to city bikes in the €500 complete price range. 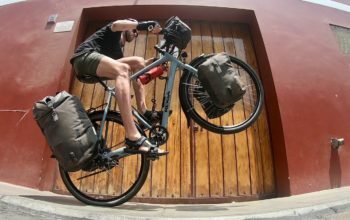 These products are designed for the ‘casual rider’ and are not approved for use on mountain bikes, mid-drive eBikes, fixed gear bikes, or high mileage trekking/touring bikes. From what I’ve heard, people have had a few problems with the CDN rear cog, but they’ve all been upgraded to a cross-compatible CDX stainless cog. 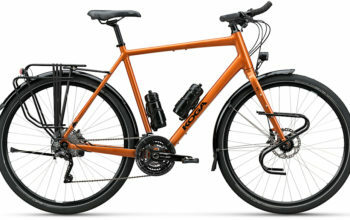 Gates CDX: High-Performance on a Koga WorldTraveller-S.
I’ve found that one of the most important factors for a belt drivetrain is that it is paired with a particularly stiff rear frame triangle – this is particularly important when carrying luggage on your bike. On my older belted touring bikes I was able to generate enough flex through my frames to make the belts skip under load. But no matter how much power I put through my pedals on my Koga WorldTraveller-S, I cannot get this to occur, indicating a higher degree of stiffness. Gates offer a ‘stiffness test approved’ label to frames which pass their standard. But it’s worth noting that this is a minimum stiffness level, so some touring manufacturers do a better job than others to keep their rear triangle stiff. I recommend hunting for frames that use oversized tubes for the chainstays/seatstay section (my detailed article on frame stiffness is HERE). You can find a list of every Gates approved frame HERE. The Bushnell eccentric bottom bracket on a Van Nicholas Amazon touring bike. 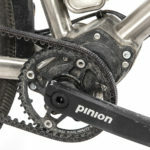 A belt drivetrain requires a way to tension the belt. There are a three different frame features that allow tensioning, each with their pros and cons. EBBs: Eccentric bottom brackets allow you to move your crankset around 13mm forwards and backwards. The design also gives you the option to run your crankset high (nice for off-road) or low (better for the road). I’ve found EBBs a bit ‘creaky’ on long bike trips (more maintenance required) and additionally, they can get water in them, making them sometimes hard to adjust (again, maintenance required). The main upside is that companies like Koga have tested EBBs to offer the stiffest rear triangle possible. Sliding Dropouts: Sliding dropouts offer about 20mm of adjustment and are a great option because they are very easy to adjust. Like EBBs, you do not need to tension your belt every time you take your wheel out; it simply drops out and then slots back in at the perfect tension. The downside to these dropouts is that some lower-quality frames have the propensity to move forward using belts, resulting in inadequate tension. Horizontal Dropouts: Belt frames with horizontal dropouts are rare. They’re not recommended by Gates as you need to set the belt tension every time you take your wheel out. That said, if you are using belts and horizontal dropouts, you’ll need a minimum of 10mm left in the dropout before the belt is tensioned – this space is required to get the belt onto the chainring. Can you make out the frame splitter just above the dropout on this Ahearne? Unlike a chain, belts are one-piece, so a split in the frame’s rear triangle is essential. Splitters can be found in the seatstay, dropouts or sometimes even the chainstay. The most common splitters are integrated into the rear dropout, but some manufacturers have tested seatstay splitters to produce the stiffest possible rear triangle. 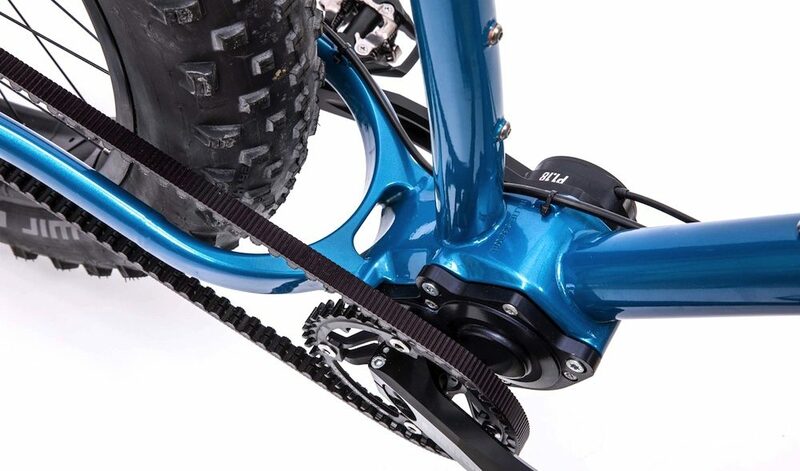 In the past, frames have been modified with splitters so that people can upgrade to belt drive. I no longer recommend making this modification because you simply can’t guarantee that your rear triangle will be stiff enough for a belt. Plus, there are so many dedicated belt frames out there nowadays which are similarly priced to the cost of a frame mod and re-spray. If you still want to get this modification made, make sure to contact a reputable frame builder. I’ve used Ewen Gellie for my work in Australia. Cycle Monkey in Northern California (USA) can also make this modification. 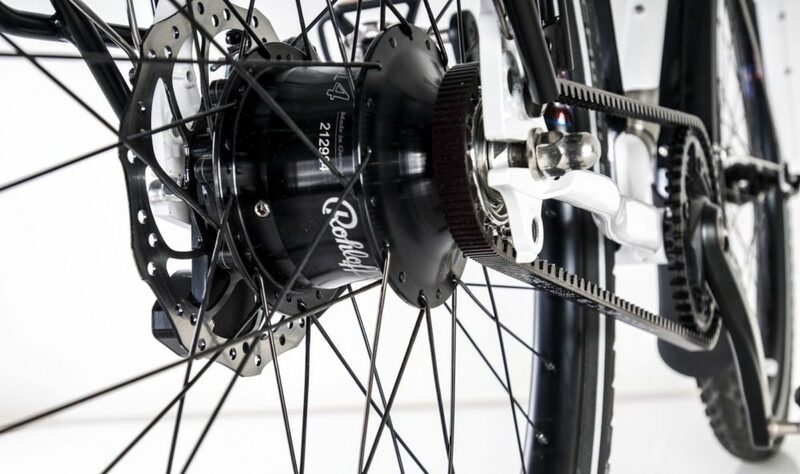 Belt drive combined with a Rohloff hub is a dreamy setup, but there are a few conditions attached. Not adhering to these may result in the partial loss of guarantee and warranty cover for your hub. But don’t worry, it’s easy to meet these conditions! Firstly, your frames rear-triangle must withstand a minimum stiffness level. In short, bike manufacturers must prove frame stiffness levels on a specialist testing jig in order to be considered ‘stiffness test approved’. You can find a list of every approved frame HERE. And the second condition is that you use a ‘belt snubber’. This product prevents the belt from walking off the cog under high load (or insufficient belt tension). When the belt lifts onto the top of the cog it can compromise the internal carbon fibres in a belt, so it’s recommended to use a snubber in any case. 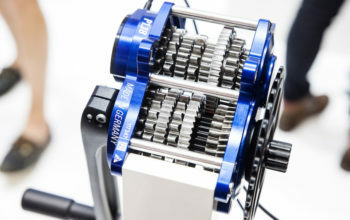 Previously, belt cogs screwed directly onto Rohloff hubs, but now there is a much more user-friendly ‘splined carrier’ (part #8540L) with three splined belt cogs available (19t, 20t, 22t). This carrier makes cog changes much easier. There was a known issue for the 1st-generation splined carriers, but this was fixed mid-2018 (and warranty parts sent out), so won’t be an issue going forward. Pinion+Belt Drive on a Page Street Outback. See the build HERE. 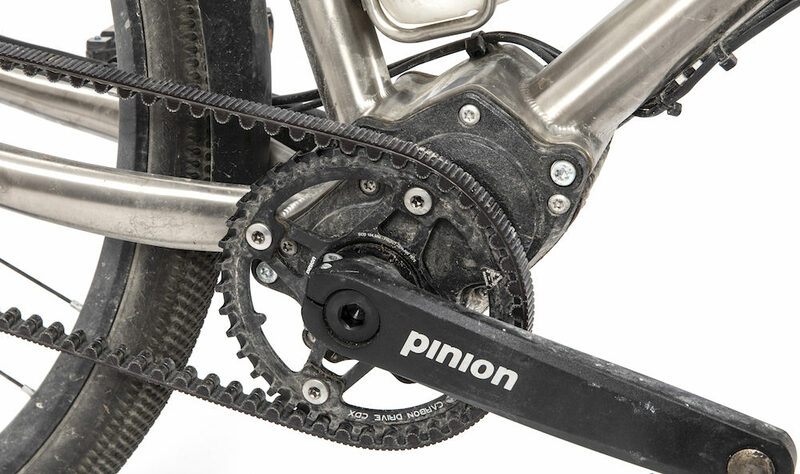 A straight ‘chain line’ or ‘belt line’ is absolutely essential for a properly functioning belt drivetrain (+/-1mm). The location of the rear cog is often fixed, so the majority of the adjustment will be at the crankset. 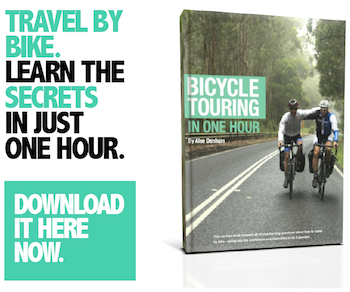 You’ll need to look up the chain line of the crankset you’re planning to use with your belt drivetrain. A triple 104BCD crankset has a 55mm chain line (when the chainring is mounted on the outside location), making them popular for Rohloff belted setups. 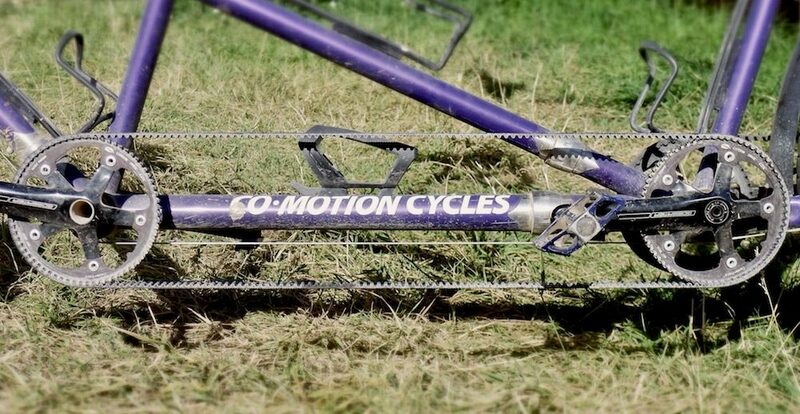 It’s worth noting that Gates make their own cranksets with different beltlines to suit most belt drivetrains: 39.8mm, 43.7mm, 45.5mm and 54.7mm. The other thing to mention is chainring clearance, in particular with Shimano hubs. 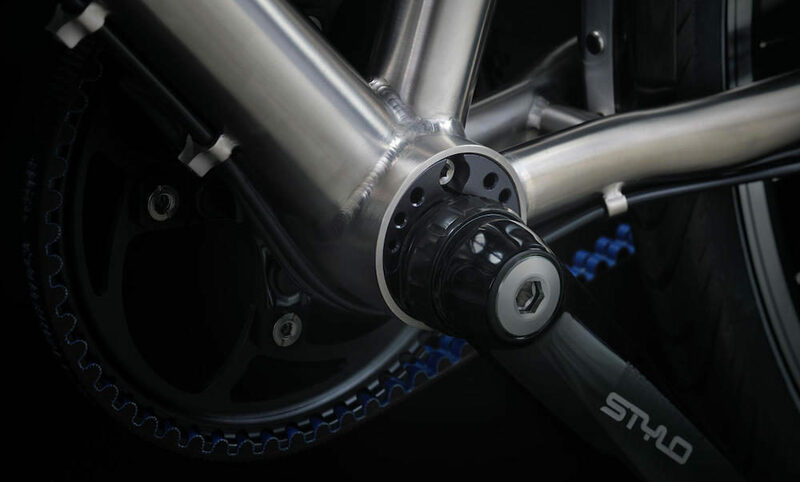 As the gear selector on Shimano hubs is external and on the drive side, it results in a very narrow chain line. If a frame has inadequate chainring clearance at the chainstay, it may be incompatible with a Shimano hub. It’s worth getting in contact with a frame manufacturer to check on chainring clearance if you’re planning on using a Shimano hub with belt drive. You might think that having fixed belt lengths reduces the ability to get your gear range right. But it’s worth noting that there are eight belt lengths and quite a few chainring and cog sizes, so the jumps between drive ratios aren’t large. The Gates Calculator is a great tool to help determine which chainring and rear cog to use (this calculator is also available as a smartphone app). I find that if you plug in your optimal chainstay length (eg. 460mm) and hit ‘Find Solutions’, it will come back with the different combinations that will suit your frame first and foremost. 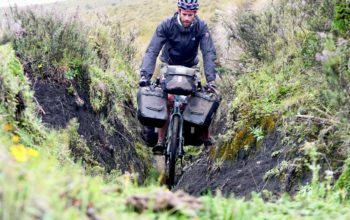 You now just need to narrow down your ‘Gear Ratio’ options so they best suit your terrain. This will need to be done in accordance with the chainrings/cogs that are available for your Rohloff/Shimano/Pinion etc. 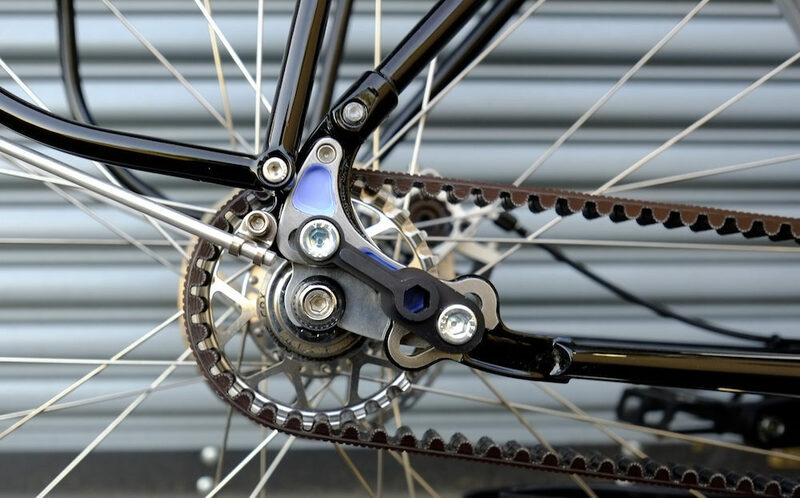 As mentioned above, if you are using belt drive and horizontal dropouts, you must have a minimum of 10mm left in the dropout before the belt is tensioned. Belt drive is great for timing belts on tandem bikes. This saves you about 250 grams over the equivalent chain and chainrings. In order for belt drive to work on your tandem, your frames boom tube must be 724mm between bottom brackets. You’ll also need to be using 130BCD cranks. 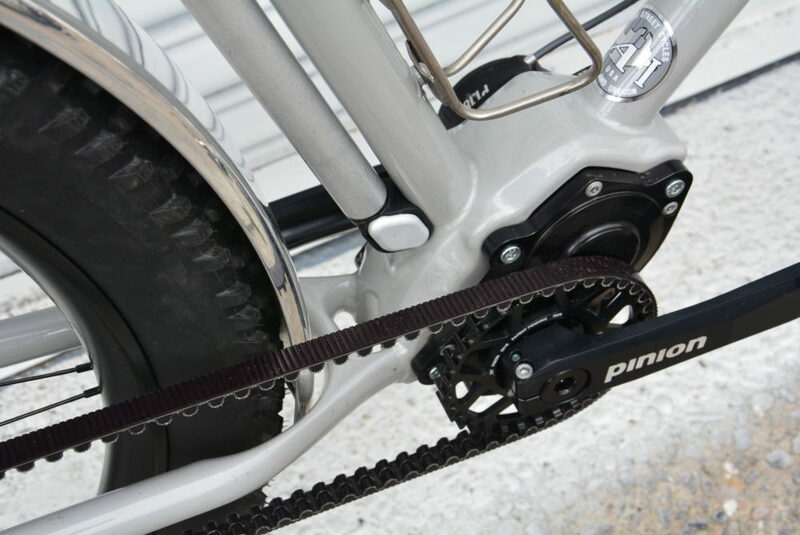 It is possible to run belts on both the drive and non-drive side of your tandem but the latter is recommended. Belt drivetrains are almost maintenance-free. Cleaning is often as simple as rinsing the belt/cogs using a water bottle and an old toothbrush. No degreaser. No chain cleaner. No dirty hands. The amount of work you do to maintain a belt will depend on the conditions you’re cycling through. In the driest, dustiest regions of the world, I’ve needed to apply a silicone lubricant to my belt every couple of days. Other times, its months between any maintenance or cleaning. While the belt system seems to do a pretty good job of removing mud and grit, you’ll want to keep the teeth of your belt as clean as possible to get optimal mileage. Silicone Lubricant: I use a general purpose silicone spray when I hear the first squeak from my belt. My current spray bottle was purchased from an automotive store in rural Bolivia, so I have no doubt similar products can be found all over the world. Gates recommend THIS heavy duty silicone lubricant, in particular. Hanseline Belt Drive Care Stick: This product has been designed to keep your belt running nicely. It is undoubtedly the most compact product to carry on a bike trip too, but I haven’t yet had the chance to test it. You have to be careful with how you handle belts, as misuse can lead to internal carbon fibre damage… and trust me, you don’t want a snapped belt. The main thing is to ensure you don’t stress the fibres in any direction. If you’re storing a belt for a long time, it’s best to leave it fully open. When installing your rear wheel, it is essential that you do not ‘crank’ the belt back on like you may with a chain. Instead, simply put the belt onto the chainring and cog, then slide your wheel into the dropout. The great thing about belts is that they coil up nice and small so that you can easily carry them as spares. I generally tuck my spare belt into the pocket of one of my panniers. You’ll need to be careful folding and unfolding your belt – make sure you don’t force it, it should coil very naturally. When it’s folded correctly it should naturally sit in a loop which folds three times. 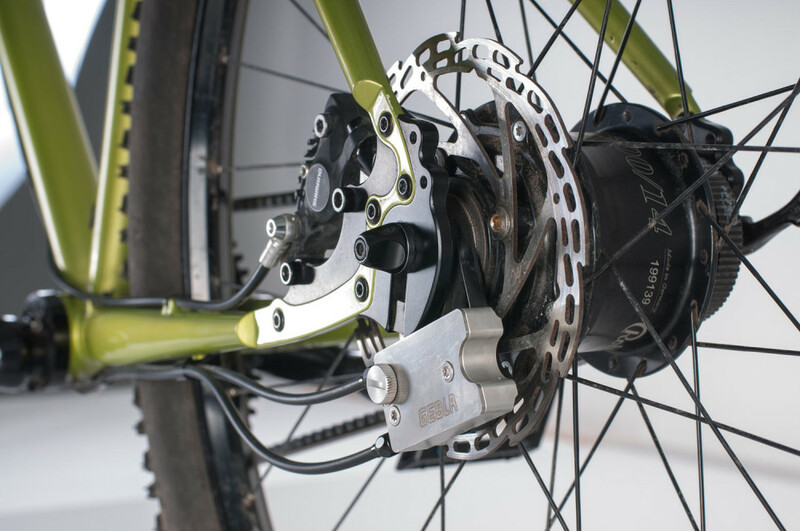 Gates Carbon Drive tension will vary depending on whether you use a singlespeed or internally geared hub, and how powerful you are as a rider. There are a few different ways to get your tension to what Gates recommend. Smartphone App: You can download a simple app which will measure how much tension your belt has with your smartphone microphone. Simply hold the phone next to the belt and give it a few plucks and it will quickly give you an average frequency rating. Gates Tools (Sonic Tension Meter, Krikit Gauge): More accurate tension gauges can be found at specialist bike shops, but I’ve never needed to use these products. Tension variation (tight spots) may occur when the crank is rotated, so Gates recommends taking several tension measurements at different crank arm locations to find an average. Around a 10lb or 15Hz variation is considered acceptable. If significantly more variation exists, Gates recommends centring the chainring on the crank spider. Belt drive on a Hilite fat bike using a Pinion gearbox. Like the sound of belt drive? I’ve compiled a list of touring bike manufacturers HERE. For those wanting to do a custom build, my list of touring frame manufacturers is found HERE. Expect to spend more than US $1000 / €1000 on a complete belted bike and a minimum of US $500 / €500 on a belted frameset.